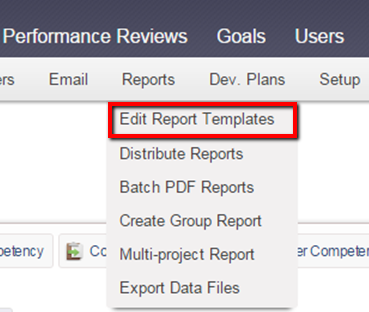 Group Reports allow you to create a PDF report containing the results of all or select Targets in your projects. You can customize each Group Report component to display custom titles, introduction text, graphics, and more. For more information on adding components to a custom Group Report click here. Click the "Open a Template to Edit" button and select the template for which you would to customize. 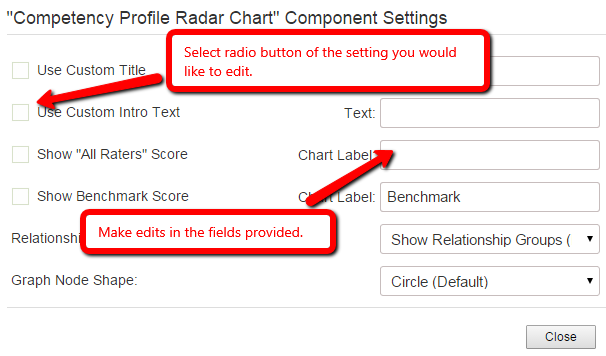 Click the "Settings" option on the right side of the screen for the component that you would like to edit. Once you have completed customizations for the section, click the "Close" button at the bottom of the window and your settings will be saved.